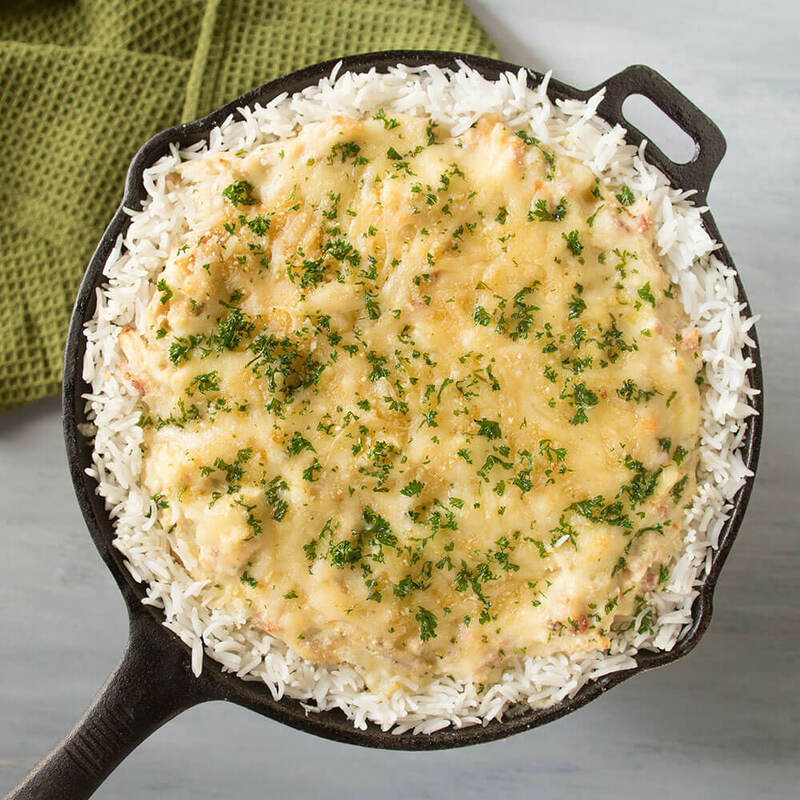 Dive into the creamy experience of this Chicken and Royal® Basmati Rice Cordon Bleu Casserole, a hearty and easy-to-make meal topped with crispy, bubbly Swiss cheese. 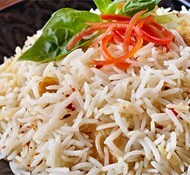 Combine rice and water in a medium pot with a tight fitting lid. Bring to a boil, then reduce heat and cover. 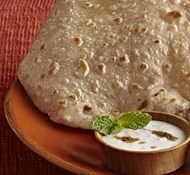 Cook for 15 minutes or until water is absorbed. Set aside. Heat oven to 400°F. Lightly grease 10-inch round baking dish with olive oil; set aside. In 10-inch skillet, heat 2 tablespoons olive oil over medium-high heat. Add onion; cook until tender and translucent, stirring occasionally. Add flour; stir to make a roux. Cook roux 1 to 2 minutes or until lightly golden. Gradually beat in broth with whisk, followed by milk, and simmer until slightly thickened into a gravy. In large bowl, mix chicken, gravy, ham, the cooked rice and 1 cup of the cheese. Spread evenly in baking dish. In another bowl, mix bread crumbs and butter to coat well. Add remaining 1/2 cup cheese. Top casserole with bread crumb mixture; bake about 20 minutes or until top is crisp and golden and casserole is bubbling.